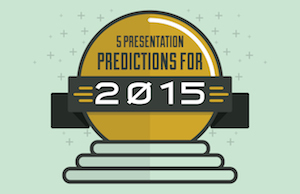 Around this same time last year, I shared my 5 Presentation Predictions for 2014. Looking back on those predictions, it’s amazing to see how those practices are now almost a commonality or daily practice within the presentation space. With 2015 fast approaching, I’m going to use my futuristic lens on once again, and offer my 5 presentation predictions for this upcoming year. As I write this post, Prezi is bragging they have over 50 million users. Microsoft has also recently launched its Prezi competitor called Sway, and web apps like Haiku Deck and Canva are quickly taking off. This is testament alone that PowerPoint is fading. It’s definitely not dead, nor do I think it will die anytime soon. It’s just no longer the behemoth it used to be a decade ago. I have been on the road a lot this past year giving presentations all over the United States. My travels have taken me to San Francisco, Phoenix, Miami, Salt Lake City, Philadelphia, Washington, D.C. and many other cities. The unified lesson from all those experiences with so many different diverse audiences is that every person -- man or woman, young or old -- crave and desire an authentic speaker. And, given the social media-centric and transparent world we live in, people want this more than ever. Five years ago I would easily offer grace or sympathy to anyone who would have a technical glitch with their presentation. However, we are quickly approaching 2015 which will continue to be the era of the cloud and mobile devices. 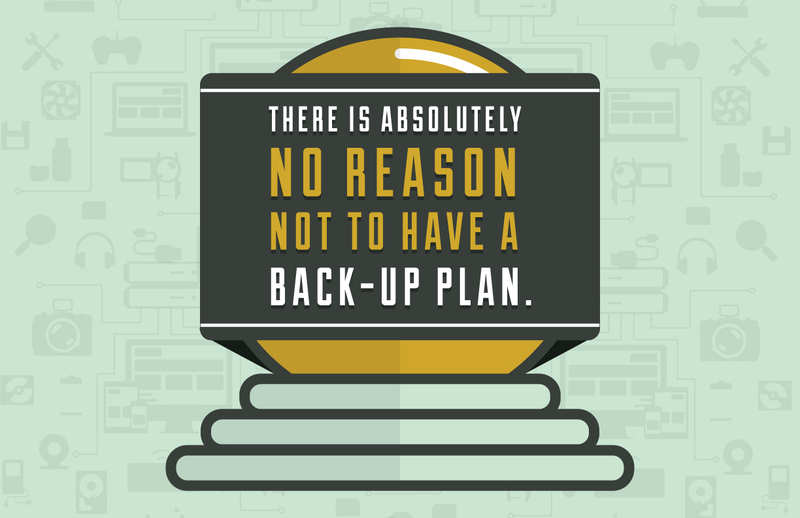 There is absolutely no reason not to have a back-up plan given all of our presentation options. Dan Pink has a great book called A Whole New Mind where he discusses the idea that right brainers (creative folk) will have the advantage in the future since their skills can’t be outsourced as easily as left-brained tasks like accounting can be. This book was written in 2006 and those concepts seemed to hold true for the last five years. However, the world is once again changing. Enter Canva and Hiaku Deck on SlideShare. Both of these platforms empower any non-designer to create wonderful looking presentations. People today have access to view and digest some of the best presentations on the planet, whether it's on SlideShare, YouTube or TED.com. The end result: A ton of inspiration that can motivate and challenge us to change how we build, design, and deliver our presentations moving forward. Once again, the above isn’t truly groundbreaking. As with most of this decade, presentations haven’t changed that much and it will probably continue to be a slow growth area for a while longer. Until that time, happy presenting and I hope you have a fantastic holiday season and New Year! Scott Schwertly is the author of How to Be a Presentation God and CEO of Ethos3, a Nashville, TN-based presentation boutique providing professional presentation design and training for national and international clients ranging from Fortune 500 companies to branded individuals like Guy Kawasaki. If Scott is not working with his team building presentations, you will find him in the pool, on the bike, or on a long run. Scott lives in Nashville, TN with his wife and three dogs. He has a B.A. and M.B.A. from Harding University. Follow the conversation and connect with Scott on LinkedIn or Twitter.